Thank you for the many comments on my photos and such awesome questions. Beautiful capture in that lovely setting. Totally fabulous. Awesome bird. Great depth of field. Fav. Love all the colors -- and great clarity in its eyes. You birds are stunting painted. Fav. I love the amazing colours of these birds! What a colorful bird at your door! Beautiful! Awesome capture. That is one colorful bird. Wow. SO colourful. Great image. Wow! 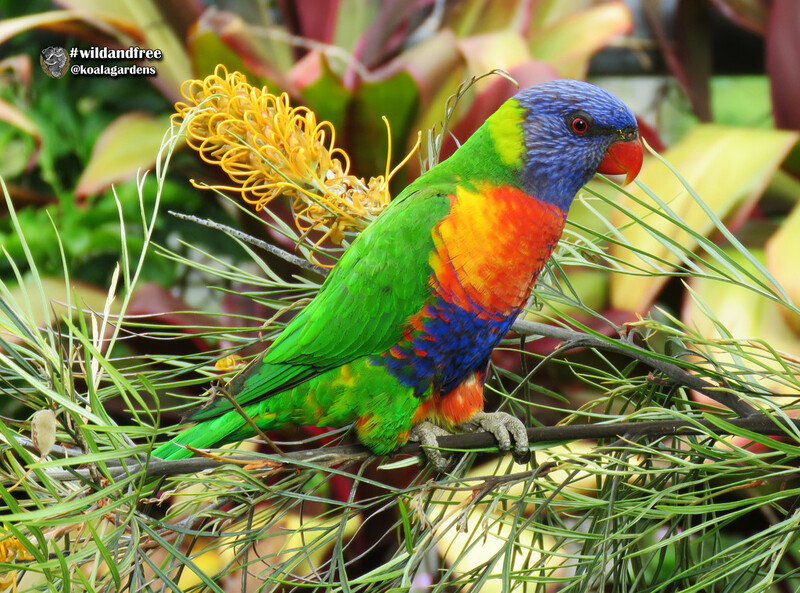 You caught the true beauty of this rainbow lorikeet. The colours are simply breathtaking ! Well caught. A wonderful capture. Congrats on making TT with this fantastic shot!! @365karly1 @gardenfolk oh wow, thank you both for letting me know! It’s another cloudy, cold day in Chicago. This picture makes me happy! So much color! Congratulations on TT!